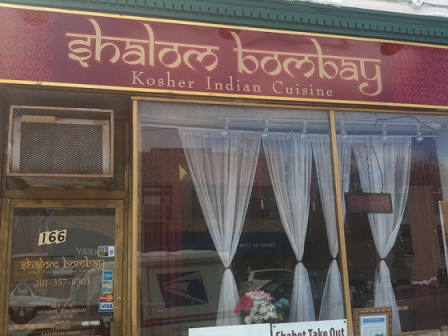 Shalom Bombay to open a location in Murray Hill | Thanks a Glatt! I like the dual hechsher. OU and free. I am so going to visit them and get my money's worth. I've personally had both Dakshin II and the Teaneck Shalom Bombay and the latter was no match at all for Dakshin. If you were to square the two restaurants' entrees in a figurative “beauty pageant,” Dakshin II would be Miss Universe and Shalom Bombay the bitter girl who was ousted in the first round. Confusing metaphors aside, Dakshin II's food actually had flavor. Like real masala, I-have-never-used-these-taste-buds-before flavor. Shalom Bombay's tandoori chicken was extremely dry and bony; Dakhin's succulent and having used the best meat. Shalom's bangain (eggplant) left a foul taste in my mouth; Dakshin's was sweet and tangy and deliciously refreshing. It is no contest. I urge you to step out of your familiarity and give Dakshin II a try. I'll be spending so much time in that place, you'll probably even see me there. Pingback: Dakshin II – The Review (hey, that rhymed!) | Thanks a Glatt! Went to Shalom Bombay today to eat dinner, but it was CLOSED by the HEALTH DEPARTMENT!!! I do not know what happened, but after seeing other restaurants being closed by the health department it is recommended that you do not go there again. They’ll be open again by the end of this week. Sure, but will I be going there again? Definitely not, and I hope you do not as well! They had live cockroaches and mice roaming around! I understand your concerns about safety. Please let me assure you that we took care of all of the violations and we got a clean bill of health from the dept. We have made improvements to ensure that this won’t happen again. We hope we can win back your trust as we are committed to the highest standards of quality for our customers.